In the aftermath of the First World War considerable anti-British unrest broke out in Egypt which spilt over into the Sudan. In 1920 the British authorities developed plans for the removal of most Egyptian officials and Egyptian troops from the Sudan and of Egyptian officers from the Sudanese Units, leading to the formation of a Sudanese Army with British and, in increasing numbers, Sudanese officers. However, it was not until 1924 following the assassination in Cairo of Ferik Sir Lee Stack Pasha, Sirdar of the Egyptian Army and Governor-General of the Sudan, and a serious mutiny among Sudanese troops in Khartoum that these plans were put into effect. 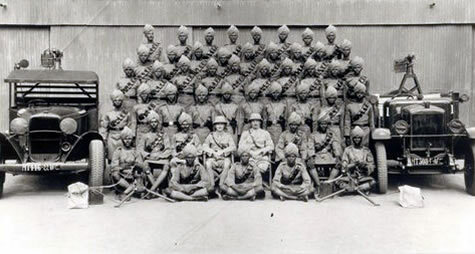 Thus in January 1925, the Sudan Defence Force (also known as the SDF) was formed and about one hundred and forty British officers were transferred to it from the Egyptian Army under the first Kaid (GOC), Lewa Huddleston Pasha, who had been Acting Sirdar of the Egyptian Army following the assassination of Stack (see above). 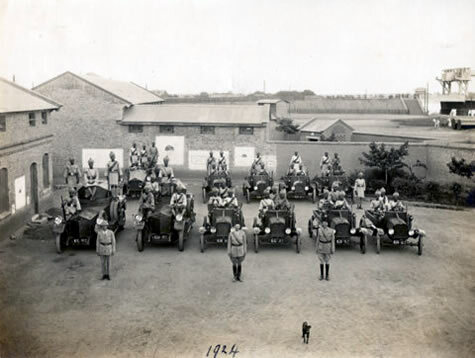 A small number of British officers under an Inspector-General, Lewa Spinks Pasha, remained with the Egyptian Army in a largely supervisory role until 1936. 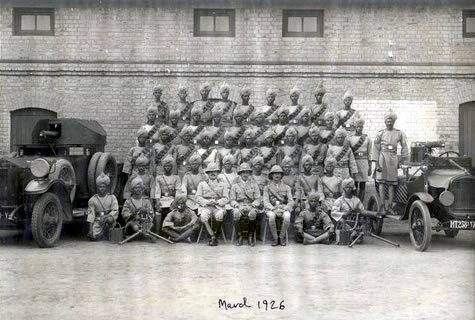 The old numbered Sudanese battalions were phased out, the last, the 9th, being disbanded in 1930 when its Colours and other regalia were handed over for safe-keeping to the Cameron Highlanders, the two regiments having enjoyed a close and friendly association since the 1880s. To-day they can be seen beautifully displayed in the museum at Fort George near Inverness. The new force of approximately six thousand officers and men was made up of four principal corps, the Camel Corps, Eastern Arab Corps, Western Arab Corps and Equatorial Corps, all, with the exception of the Camel Corps, being recruited locally as their prefixes suggest. These were supported by artillery, engineer, armoured car and machine-gun units, medical, signals and transport services. During the Second World War the SDF was considerably expanded, rising to 25,000 officers and men, and played an important role in the liberation of Eritrea and Ethiopia and was also deployed in the Western Desert and at the Kufra Oasis. A number of British and Sudanese officers and men were decorated and one, Ferik Ibrahim Abboud, MBE, became President of the Sudan Republic in the 1960s.